We don't always share Nintendo of America's sometimes-gimmicky PR events for promoting games. Typically shared via a press release, they consist of some carefully taken publicity shots of the public enjoying a game at an event, and aren't often particularly interesting. Nevertheless the most recent event is worth an appreciative nod. 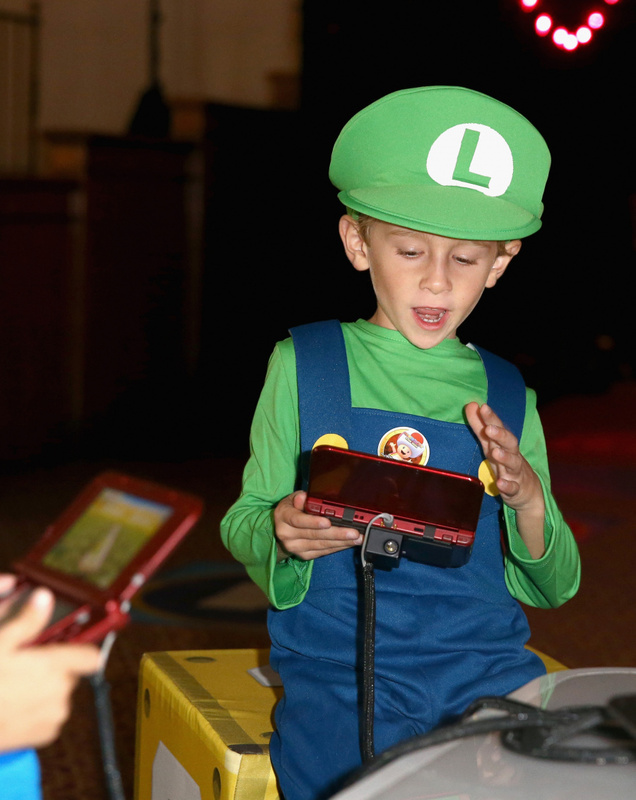 Nintendo went along to Starlight Children's Foundation's "Dream Halloween" event, using the opportunity to show of Mario Party: Star Rush. Starlight Children's Foundation is a non-profit organisation that sets up events and entertainment for children suffering from chronic or long term illnesses. The following is from the organisation's official website. Each year, more than 30 million children in the US suffer from a chronic, critical or terminal illness. Many of these kids experience long hospital stays, painful medical treatments and sometimes a scary and uncertain future. Starlight turns pain, fear and stress into fun, joy and laughter – because a sick kid is still a kid at heart. 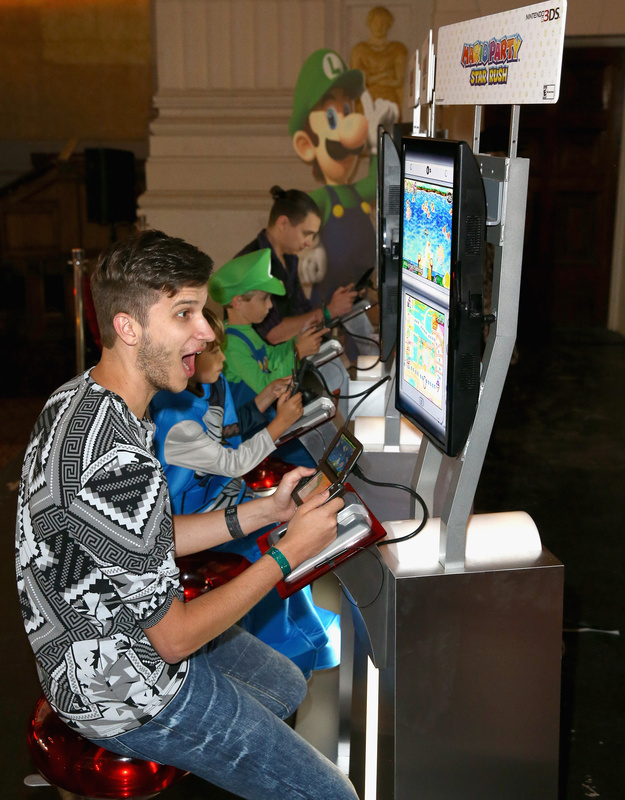 In any case, below are the pictures that Nintendo shared from an LA event on 22nd October. 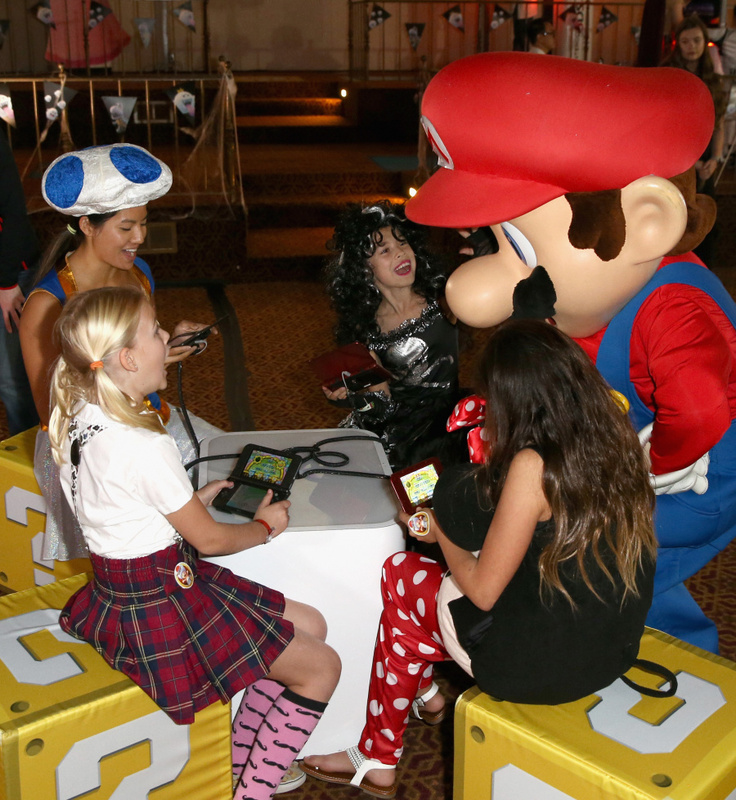 In this photo provided by Nintendo of America, guests of Starlight Children’s Foundation’s “Dream Halloween” event on Oct. 22 in Los Angeles got to meet Mario – one of the stars of the Mario Party Star Rush game. In this photo provided by Nintendo of America, Zach D. of YouTube channel GhostRobo, plays a friendly round of competition in the Mario Party Star Rush game with guests at Starlight Children’s Foundation’s “Dream Halloween” event on Oct. 22 in Los Angeles. 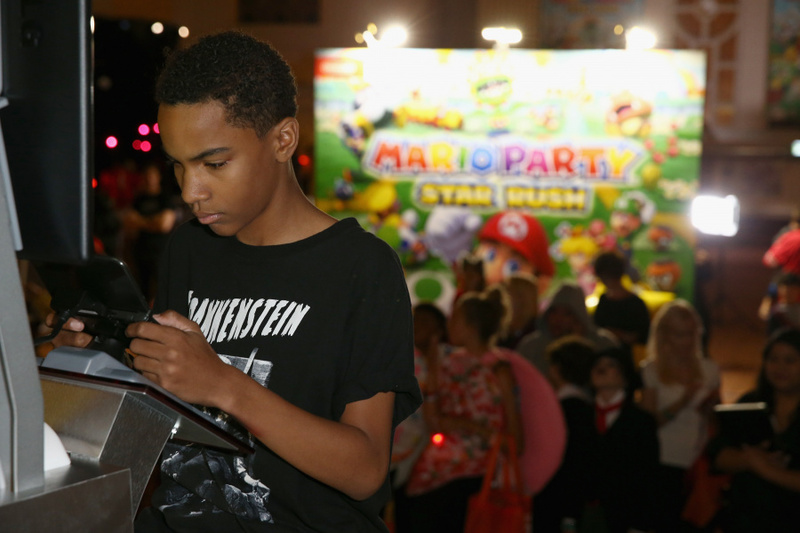 In this photo provided by Nintendo of America, actor Terrell Ransom Jr. plays a friendly round of competition in the Mario Party Star Rush game with guests at Starlight Children’s Foundation’s “Dream Halloween” event on Oct. 22 in Los Angeles. This is one of the reasons why I love Nintendo. That is pretty cool! It is always great to see companies reaching out to the public. Aww. Poor little kids. I'm glad they're getting to have a little fun. Its nice for those kids! Glad to see them having a good time in the middle of their treatments. That is awesome and so nice for the ill kids too have fun and enjoy themselves nice too see Ghostrobo helping out aswell. @LegendOfPokemon Just stop right now. That's lovely, I hope the children really enjoyed themselves. @Andrzej777 Actually, there's around 75 million kids under 18 in the US now. This is a really brilliant thing, something that's relatively nothing but has huge impact. Good on them. I'm so envy to those people that can playing Mario Party Star Rush on bigger screen. That's nice, but why did they choose Mario Party: Star Rush? Well, because that was the newest game from 3DS so far. Also, newest Mario games on 3DS that matching with Starlight Children's Foundation name. Stille that would mean that every 2.5 kids would have a serious disease. K8 and I were at the Children's Hospital of Pittsburgh almost uncountable times between March 2001 and November 2005. One of our longest stays was almost 4 months. Chemo often destroys the immune system making isolation mandatory. There was 1 game system for the oncology floor. Our Gamecube was a godsend, as that baby went back and forth with us all the time. It was a great way to pass the time for her as well as me. When she was too ill from chemo to want to play, she'd watch me play. Many a dreary hour was brightened by Mario Sunshine, amongst others. She also had her various ninty handhelds, which were a big help. Anything that can distract the kids (and parents) from the reality they face everyday is a plus. If anyone has older systems they no longer care about, please consider contacting the Children's Hospital in your area regarding a donation.